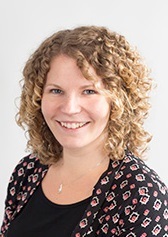 Rachel Burnett, education and public engagement officer at the Biochemical Society discusses the success of ‘The Hungry Games’ at Big Biology Day in Cambridge, in celebration of Biology Week. Encouraging people to eat a healthy diet is nothing new; from eye-catching headlines announcing the latest ‘superfoods’, to documentaries such as ‘Super Size Me’, we encounter this information daily. Thanks (at least in part) to Jamie Oliver, the quality of school lunches has improved, and recently the government has announced we should aim to eat seven portions of fruit and vegetables a day. We are advised to eat a varied, balanced diet; consuming the right amount of food to maintain a healthy body weight, and eating the right proportions of a variety of foods. However, we are now facing a food production crisis, with the world’s population predicted to reach 9 billion by 2030. Many of the foods we consider to be staples are currently unsustainable, for example the International Rice Research Institute estimates 70% of the world’s fresh water is used for crop irrigation. On top of this, we live in a wasteful society. In the UK, we throw away over 7 million tonnes of food waste from our homes each year, and the environmental impact of reducing this waste would be equal to removing 1 in 4 cars from the roads! It seems a healthy diet is not just about maintaining our personal health, but also the health of the environment. To explore these issues, the Biochemical Society, Royal Society of Biology and Nutrition Society came together to create a new hands-on activity called The Hungry Games. On October 17th, we arrived at Big Biology Day, Cambridge to trial the activity. 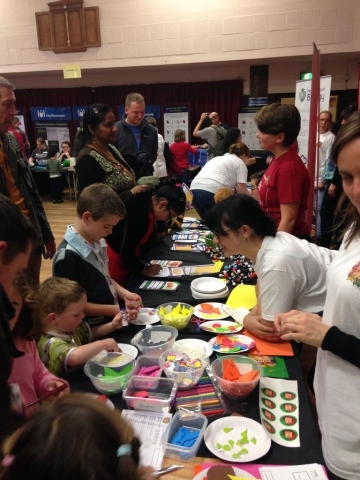 Now in its fourth year, the event has grown and grown, making it a great place for families to explore science. Visitors arriving at The Hungry Games stand were invited to take part in two activities, an exciting card game looking at four nutrient groups (carbohydrates, fats, proteins and vitamins & minerals) in detail, and a build-a-plate activity, encouraging visitors to create a balanced, healthy meal. During the card game, visitors play against each other to explore the nutrient content of different foods, using the traffic light labelling system. Using models of different nutrients, we discussed how they affect our bodies. Environmental impact was also included in the card game, showing that some of our favourite healthy foods may be rich in nutrients, but have a negative impact on the environment. With exclamations of ‘I can’t believe rice uses that much water!’ or ‘look at how much saturated fat is in bacon!’ visitors enthusiastically made their way through the games. Designing a plate attracted a mostly younger audience, although many of our older visitors were very happy to join in! Visitors were challenged to fit as many healthy foods on their plate, filling it with as many nutrients as possible. Cakes, sweets, pizza and bacon were also available and some great discussions were had on how often we should eat these foods, and how many portions we should add to the plates. Aside from a few interesting sandwiches made from cheese, sweets, cake, bacon and pizza (with an egg on top! 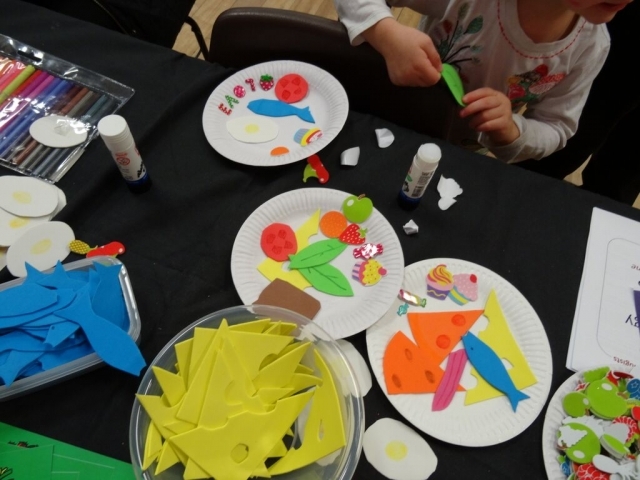 ), visitors created colourful, balanced plates to take home. We would like to thank our brilliant volunteers for helping out on the stand at Big Biology Day and Ian Harvey and Amanda Burton for organising the event and hosting us! We would also like to give special thanks to Dr Glenys Jones RNutr, Association for Nutrition and Suzanna Abraham, MRC Human Nutrition Unit for their specialist nutrition expertise and advice when developing The Hungry Games. This piece was originally posted on the Biochemical Society blog. Discover what else happened across the country during Biology Week 2015.